A Newfoundland town which rejected a rainbow-coloured crosswalk will raise a Pride flag in June. The Newfoundland town which twice rejected a rainbow-coloured crosswalk will raise a Pride flag next month. A statement from Indian River High School's Gender Sexuality Alliance, the group that pushed for a Pride crosswalk, says Springdale's town council will declare June 4-8 as Pride Week. That will start with the raising of a rainbow-coloured flag at Springdale's town council offices. Other events will be held during the week, which are being planned in part by the high school student group. 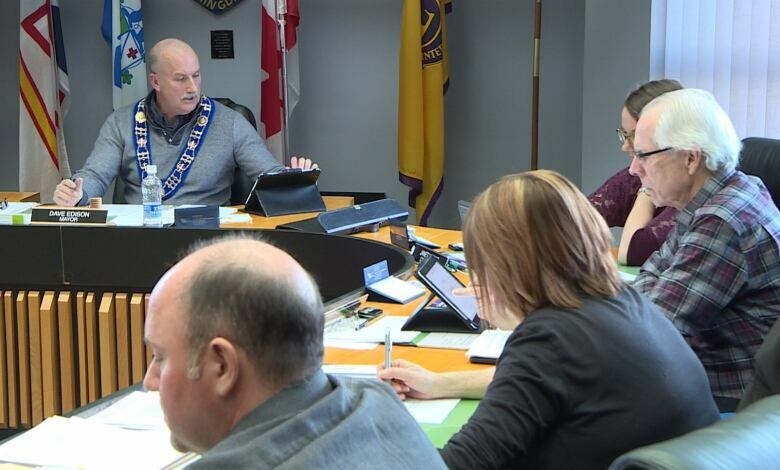 "The partnership between the Town of Springdale and the IRH Gender Sexuality Alliance is the result of a productive, open dialogue on the issue of inclusion and both groups been encouraged by these discussions," says a news release signed by both the school group and town council. "Together, we are committed to continuing respectful, informed conversations for the betterment of our entire community." 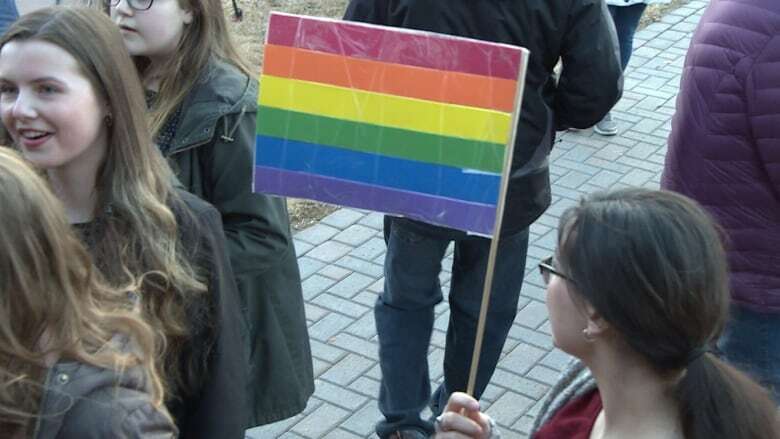 Springdale's town council twice rejected a rainbow-coloured Pride crosswalk in recent weeks, which students asked to be painted near school grounds. Both groups pledged to work together to find alternative ways to show support for inclusiveness.